 Check out some pictures from the SABES Spring 2018 Showcase! 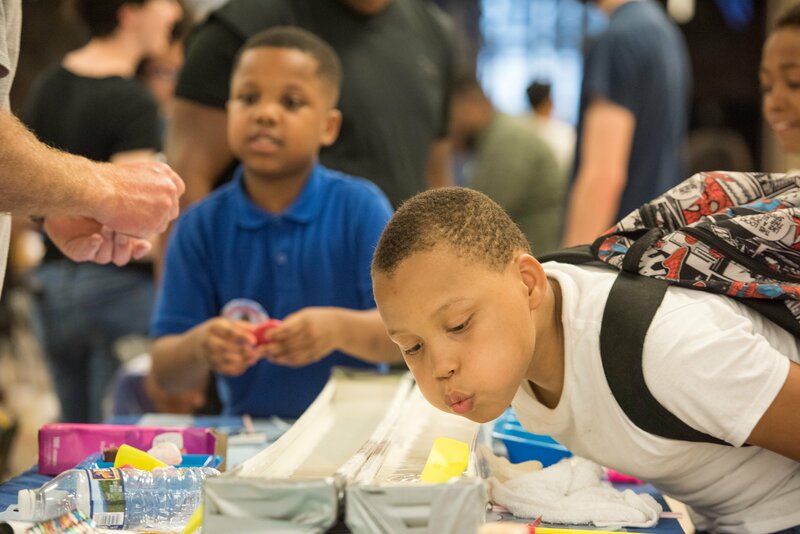 The goal of STEM Showcases is to bring the community together around STEM by providing accessible opportunities for hands-on STEM engagement. STEM Showcases offer a forum for students to share their STEM projects with each other, their families and their community. 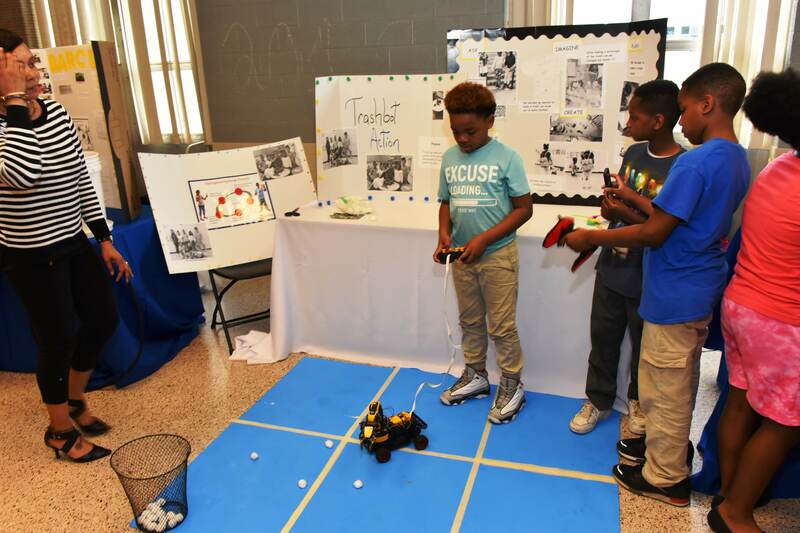 During STEM Showcases, students showcase the projects that they have been working on during the school day or afterschool program. 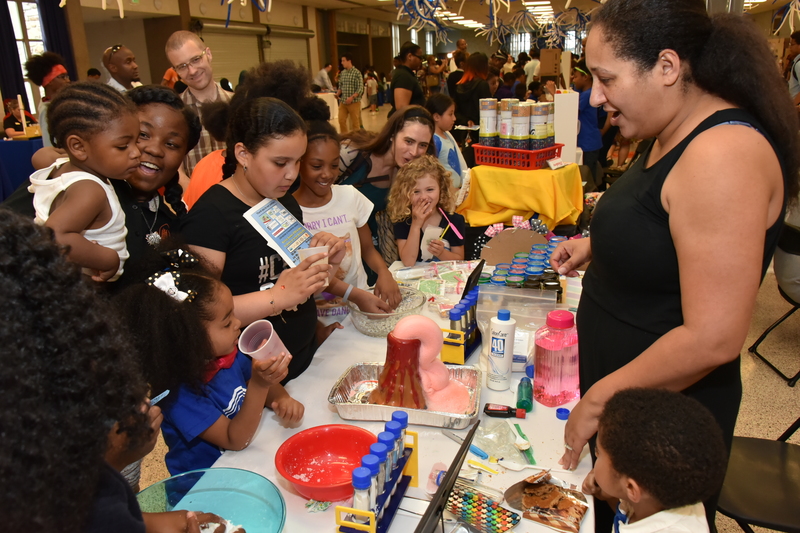 Interactive demonstrations are also offered by community partners, such as the Maryland Science Center, National Aquarium, Maryland Zoo, and the Baltimore Museum of Industry, to provide families and community members an opportunity to explore and learn together.